I couldn't agree more! A great Period for enterprising women. I'm researching Eleanor Coude. What a business woman she was! I do wish you would be tempted to a guest blog, sir! 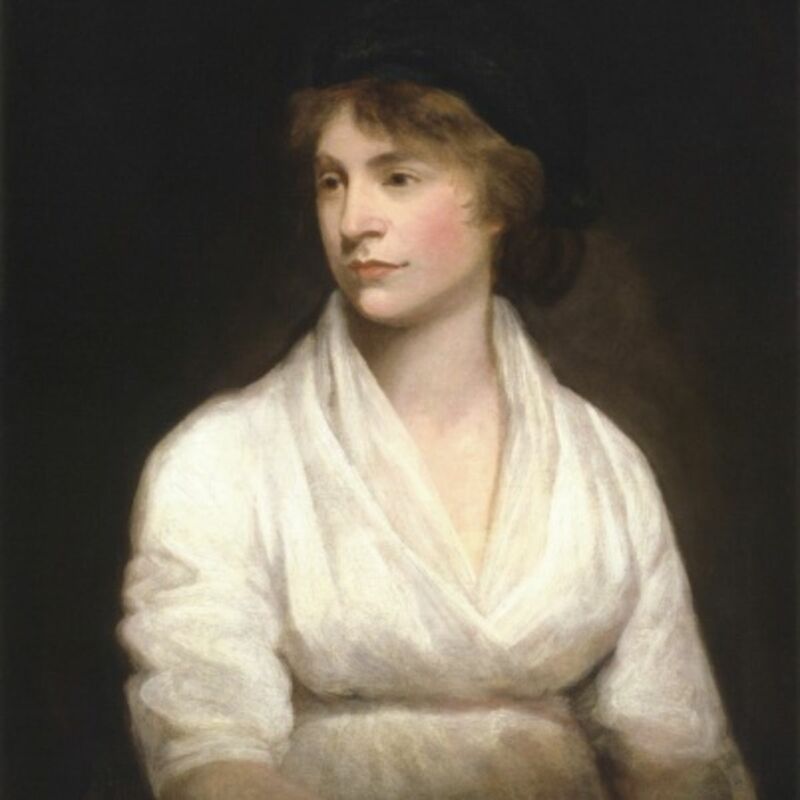 Mary Wollstonecraft was a great woman who unfortunately shot herself and her cause in the foot with her scandalous private life, ensuring that many people would not take her writings seriously or would associate empowered women with immorality. Such a shame! As for poor Georgiana, all her fashion sense did not stop her husband threatening to keep her from ever seeing her children again. It was a time of change, when questions were being asked about the equal ability for women, but men were clinging to their supposed superiority which led to a harsher backlash if any independent woman stepped enough out of line to be censured. 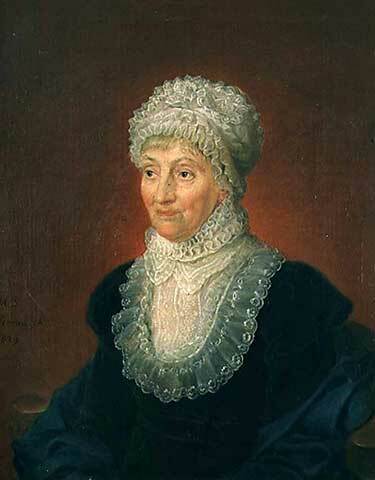 Caroline Herschel is perhaps one of the few who asserted her independence without any censure, like Eleanor Coade, who was a very enterprising lady indeed. I don't say Mary and Georgie were wrong to try to grasp at love, but perhaps it was not the right time... but they both made such a mess of their lives that their knowledge and achievements were, as always happens with scandal, subliminated to the prurient maunderings about their lifestyles. Georgiana was not just interested in the flummery. She supported Dr. Thomas Beddoes, 1760 to 1808 in his scientific work at Hotwells by Bristol, see Wikpedia etc. Of course, a bit later in the chronology is the story of Ada Lovelace, the brilliant mathematician who was the daughter of Lord Byron. She was "in at the beginning" of computerization. The tragedy was that she died very young. I have a book written in the early 18th century on the state of England which praises the laws in relation to women, which are almost as favourable as if the women had helped to make them, themselves! Yes, I mean I think, from what I have read and seen on documentaries, that women helped shape this country. They were the backbone and support these "high up" men had. 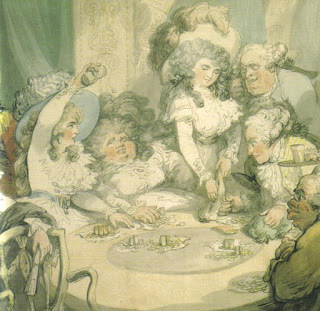 An estate of a stately home, the palace in London, the little kitchen at home or the fish market, none of these could be fulfilled properly without women. To me, as a man, it is fascinating. Yes, strictly speaking (when it came to the laws as such, and sexist opinion of most traditional men) most women were treated as second class citizens. But there were so many that were so above that, and they showed it. They proved that opportunity could arise from an era of decadance, pitiful degradation and fiery oppression. The whole era, and even before it, was so paradoxical. On the one hand women could achieve things for themselves, express themselves so beautifully, but then on the other hand they were looked down by most successful men as just "a wife - there ot breed children". It is so endlessly fascinating to me. I love it. It's also an age in which successful men were spurred on by their ambitious wives, who took vicarious satisfaction in seeing their husbands succeed especially in politics. Business wives probably had an actual hand in the success of their husbands if they grew a business from scratch! By the way, don't forget Sally Jersey who successfully ran Child's Bank as well as being a social leader and arbiter of manners at the notorious Almack's, where the patronesses got to say who was in and who was out. [a lot of the memes about Almack's are no more than that, memes, but that the patronesses wielded social power is undeniable. Georgiana of Devonshire was a Patroness for a while]. I often think of the Patronesses being higher class versions of the Tricoteuses, a bunch of harpies leading pubic opinion. Hello Sarah. Yes Sally Jersey appears in some of Georgette Heyer's novel!! Yes I mean I know she was a noblewoman and most people would think, god she had loads of money so she was alright. But to think she had an interest let alone have some accumin about her is marvelous really. 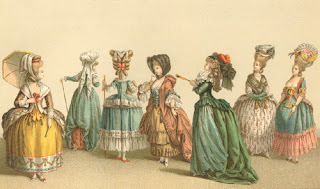 Yes even hostesses and patronesses of successful assembly ball rooms like the infamous one in Bath, they were women who had a sort of power, socially. Even something as trivial as being the head and voice of the party, is something that is unique for an era in which men had the final say and took advantage in every way possible.